Disney Jake and the NeverLand Pirates Skull Bath Blast By Fisher-Price Just $4.04 Down From $16.99 At Sears! 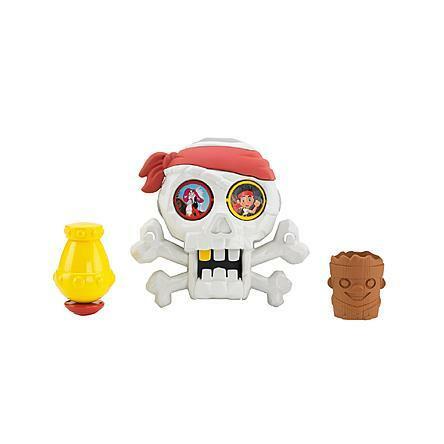 You are here: Home / Great Deals / Disney Jake and the NeverLand Pirates Skull Bath Blast By Fisher-Price Just $4.04 Down From $16.99 At Sears! Sears has this fun Disney Jake and the NeverLand Pirates Skull Bath Blast By Fisher-Price on sale for $4.04 (Reg. $16.99)! Plus you can get FREE shipping with any $30 order. Never Land is full of adventure, and now your kids can bring that whole fantastic world to life! With innovative features and endless potential for imaginative, interactive play, Disney’s Jake and the Never Land Pirates toys from Fisher-Price® transport your child anywhere they can imagine! Use the tiki cup to pour water into the top of the skull for jaw dropping action.